Oklahoma Connection | Buttram was born in Love County, Oklahoma. Frank Buttram once pitched for the University of Oklahoma baseball team against the Detroit Tigers and struck out baseball great Ty Cobb three times – it was a record never equaled as long as Cobb was in the majors! One of Oklahoma’s “oil kings,” Frank Buttram was born on a small farm in the Chickasaw Nation in Love County and grew up near Shawnee, Oklahoma. He taught in a rural school while attending classes at Central State Normal School in Edmond (now the University of Central Oklahoma) and received his degree from the University of Oklahoma in Norman in 1910. It was at OU that he also began working on his master’s degree in geology and took a job with the Oklahoma Geological Survey, where he published a bulletin that detailed the value of geology in locating oil and gas fields, logging formations, and defining structures. In 1914, Buttram helped organize and was chief biologist of Fortuna Oil Company, which enjoyed immediate success with the first seven of its eight wells. 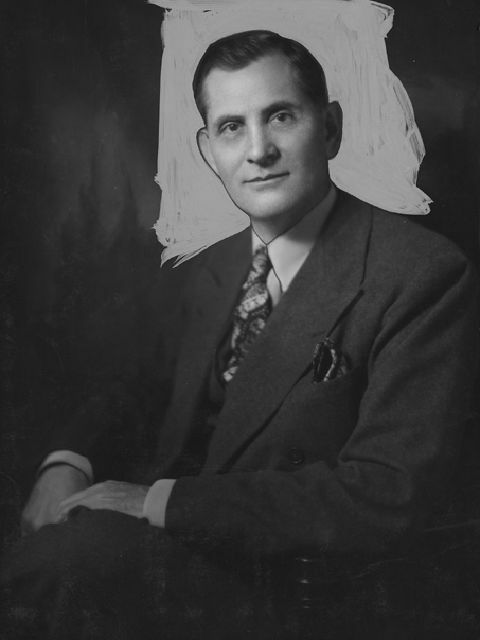 Buttram was a millionaire when the firm was sold in 1918 and he founded Buttram Petroleum Company, one of the nation’s largest oil operators at the time. He devoted the rest of his life to civic and business activities across Oklahoma and was a member of such committees as the State Board of Regents for Higher Education, the board of First Christian Church, and the international board of the Disciples of Christ. He was also Oklahoma’s Republican nominee for Governor in 1932. See pictures of Frank Buttram and other media HERE.